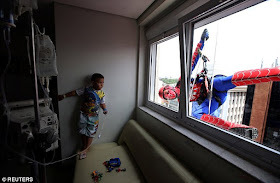 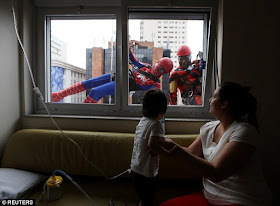 Children had the shock of their lives when Spider-Man and Iron Man dropped in to greet them at a hospital. 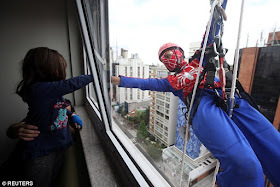 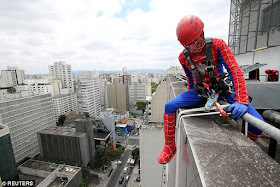 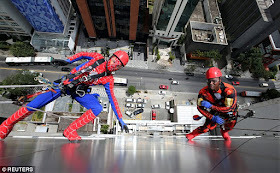 The two superheroes were in Sao Paulo to celebrate the upcoming Children's Day which Brazil marks every year on October 12. 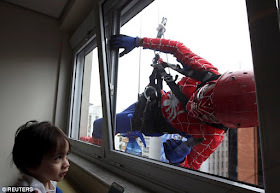 The men who played the Marvel characters, are real-life window cleaners...Hospital bosses encourage the fun to help children relax whilst on the paediatric ward.